Thailand is a vibrant country that embraces its traditions while it revels in change. The bustling capital city, Bangkok, teems with people dressed in brilliant color, hurrying to work in high-rise buildings and small shops. Strains of ancient and modern music spill from doorways, and the enticing aromas of its fabled cuisine waft from street stalls and restaurants. The serene, green rice paddies of the countryside are a contrast to urban waterways filled with floating flower and vegetable vendors who jostle for room to maneuver their loads. Pornprapit Ros Phoasavadi was born into this tapestry of old and new, peaceful and dynamic. Her life has been dedicated to mastering and sharing the music of her homeland, from her favorite children's game songs and chants to intricate instrumental compositions. This is her gift to you: a peek at Thai music and culture through her own treasured memories. 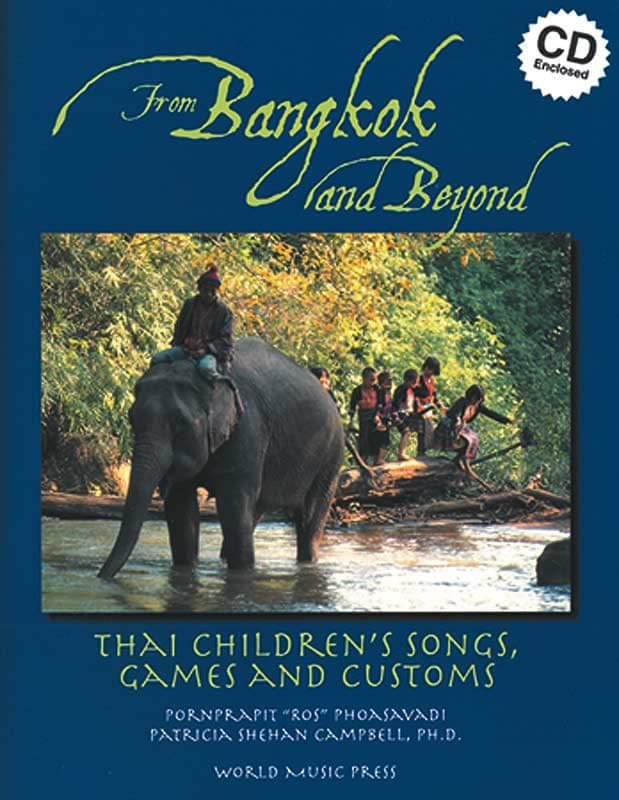 This collection is appropriate for use with all grade levels, college courses in world music or Asian studies, community outreach programs, libraries, and especially for parents of Thai children. Click to listen to audio clips!